I have long been impressed by the abstract artistic quality that subway maps present while still illustrating a path to a destination. 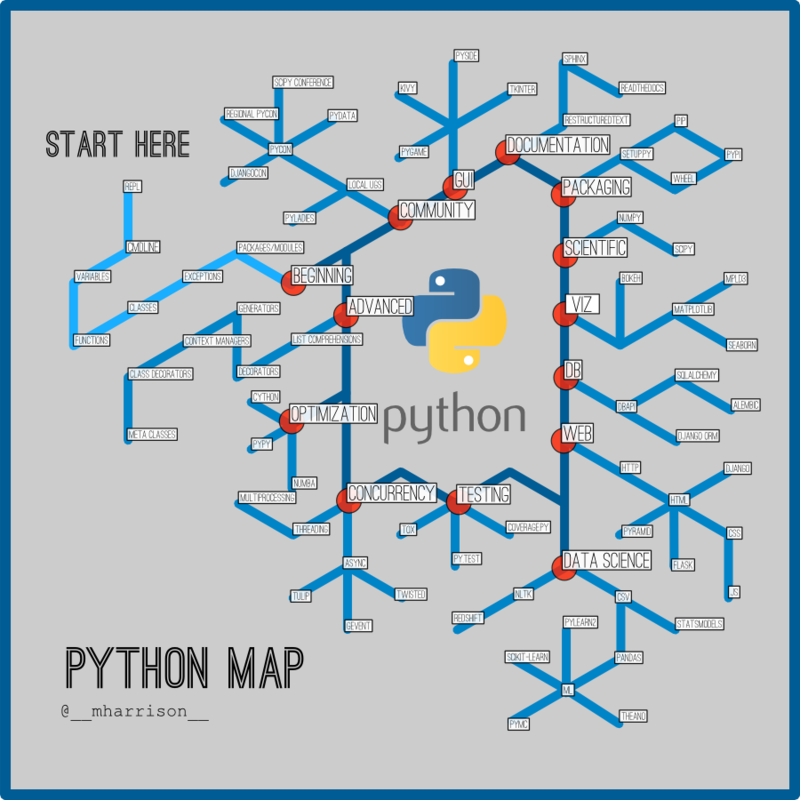 In an attempt to provide a newbie to Python with a similar experience I attempted a "Map for Python". From an artistic point of view, I think it looks more like a melted and refrozen snowflake. Like a map, there is some abstraction, and it is in no way complete or up to date. There are many paths through the Python language, ecosystem that surrounds it, and communities. There are layers that could go on top linking projects, diversions along paths, and more. 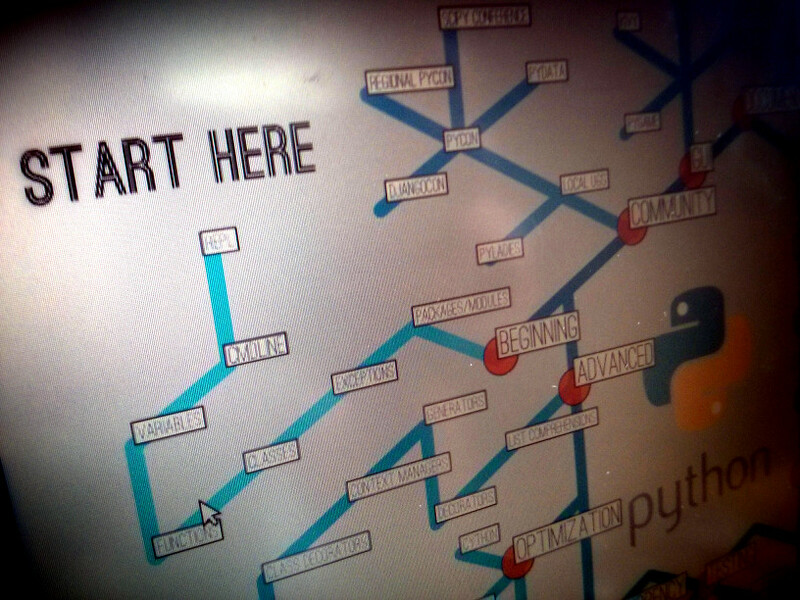 What would you put in a "Path to Python"? I have probably missed your favorite project. For those interested in getting on the path, this month I will be selling a course-90% of Python, that will quickly bring an individual (or a team) to the Beginning point and allow you to jump off into the vast world of Python.